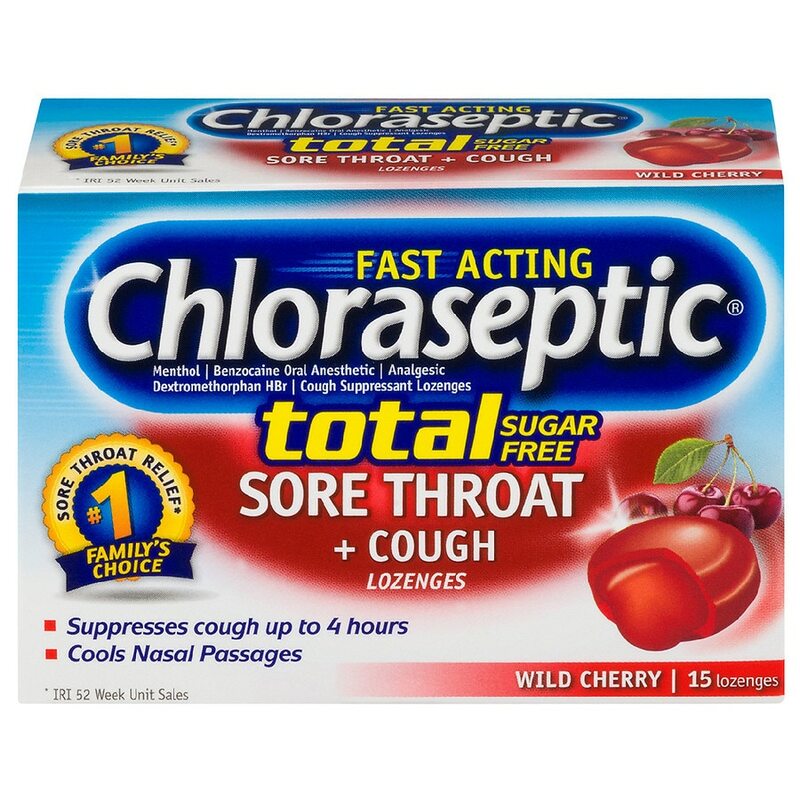 Chloraseptic Total Sugar Free Wild Cherry Lozenges offer relief from sore throat pain and cough. These fast acting lozenges with a soothing liquid center provide pain relief for sore throats, cool nasal passages, and suppress cough. Enjoy trusted relief from the #1 selling sore throat relief brand. Store between 15 degrees C-30 degrees C (59 degrees-86 degrees F). Protect from moisture. © Prestige Brands Holdings, Inc.
Keep out of reach of children. In case of overdose or accidental poisoning, get medical help or contact a Poison Control Center (1-800-222-1222) right away. Tamper evident: do not use if blister package with "Chloraseptic" name has been disturbed or opened.